Capri is literally what dreams are made of. The island is one of the most beautiful places I’ve ever been to and looking back, even with all the pictures, it still doesn’t seem real. Really fortunate to get to see places like these. I have to go back. Saturday morning fish market at the Vieux Port. Another shot from Marseille. I took this while waiting for the boat to take us to the Chateau d’If. Every Saturday morning all the fishermen in Marseille set up tables and sell their catch – the fish were so fresh that some of them were still flopping around on the tables! I was only in Marseille for three days, but out of all the places I’ve been on this trip, it was one of the few where I felt like I could stay. The city has an incredible atmosphere and there’s so much to do. 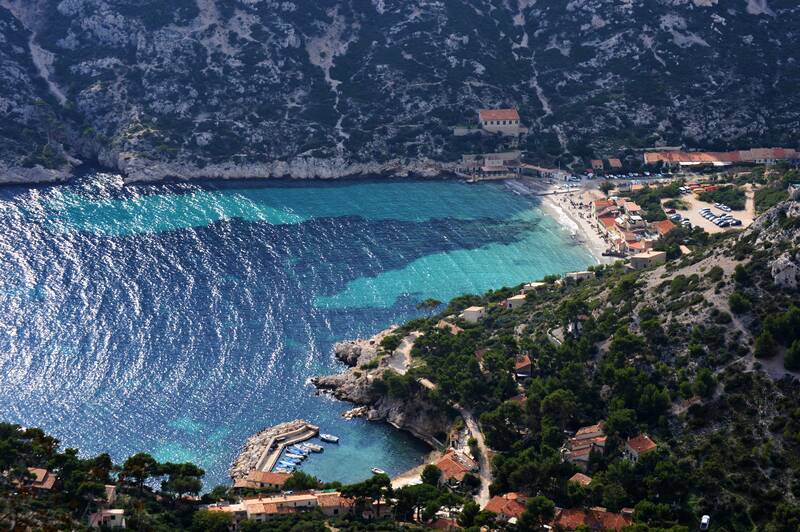 You have the water, the Calanques and the city itself to keep you entertained. I’m hoping I get the chance to go back soon. Getting to this spot was one of the most physically challenging things I’ve ever done (it didn’t help that I had a 103 fever while hiking through these mountains!) but it was all worth it once I got here. Absolutely stunning. There weren’t very many people on the beach and the water was warm. It was a great day. I miss this city, man. Florence is one of the most beautiful places I’ve been. Sunset on the water was really something special.